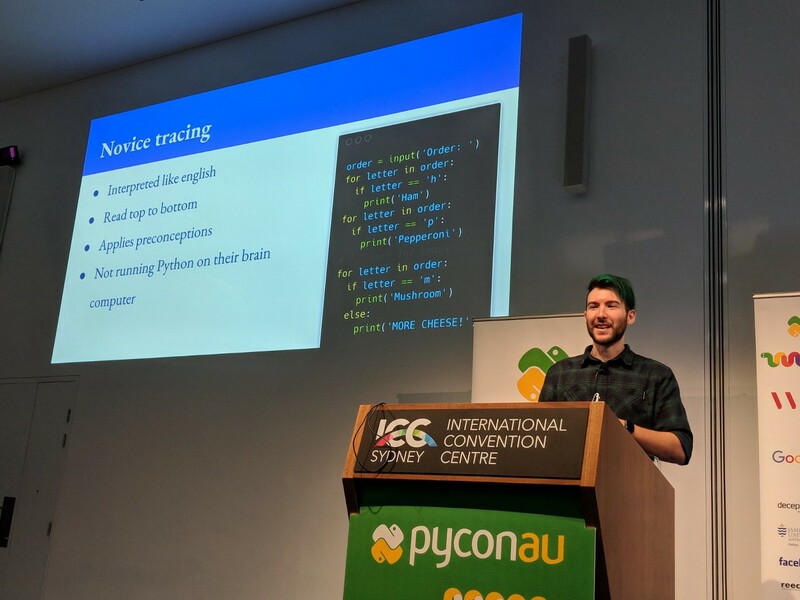 In August I gave a talk at PyCon AU in their Education track about students’ mental models of computation and how these mental models can cause misunderstandings and mistakes. When we teach coding, it’s common to focus on the syntax and composition of code, assuming that the “reading” of code will follow. For some students code just makes sense, but others struggle understanding what this stuff means. They need help reading code as much as writing it. In this talk I go through some of the common ways that students might misunderstand code, and talk through practical solutions to help. By improving students ability to read and trace code, we improve their capacity to debug their own code, and to understand the implications of new concepts they learn. Hope you enjoy it! Software developer and interaction designer specialising in EdTech. Working at Grok Learning and studying Education. Articles about coding by the team at Grok Learning & teacher friends.